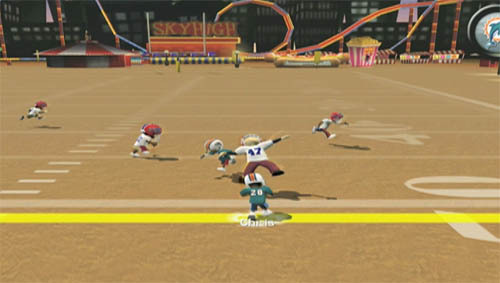 The Backyard Football series has been around now for over 10 years, with roots on the PC. It has a long history of family friendly style football perfect for kids combined with real NFL players and teams. Madden NFL 10 may have added an online co-op mode this year, but Backyard Football didn't want to feel left out. The game is going to offer a unique 2 vs 2 co-op mode, perfect for parents that want to play with their kids. Look for the game on store shelves this October on the Wii, PS2 and Xbox 360. Page created in 1.6538 seconds.